There are currently 3,375 users on this website. 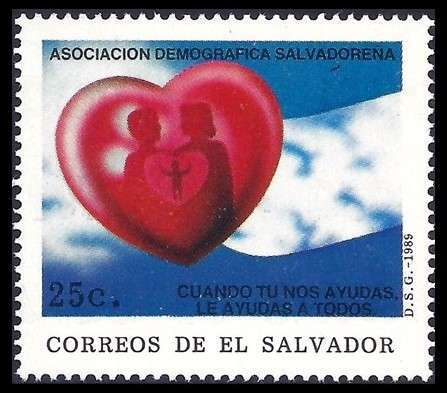 The design shows the Americas as two red hearts. 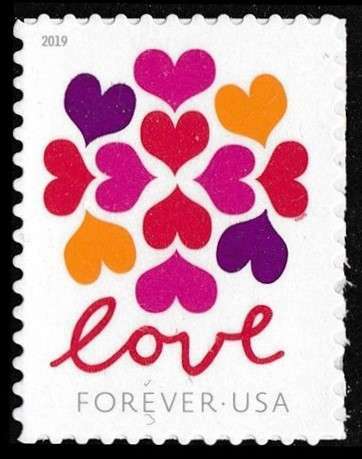 The design entitled Hearts Blossom shows 12 colorful hearts in a palette of red, purple, orange and pink. The heart motif symbolizes the effort of the Association to tackle family and social issues. 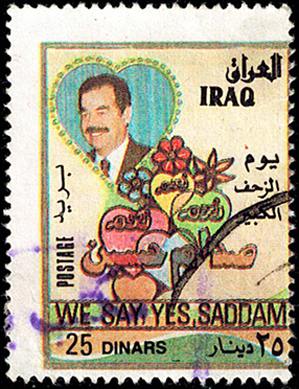 This one from Iraq is a little different. 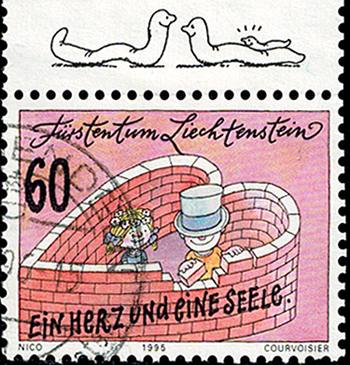 This 1995 stamp from Liechtenstein is inscribed "a heart and a soul".